A Media Player users can actually find sermons! Our media player has so many ways to search for exactly what you need. Search by series, speakers, topics & more. 90% of church media players can’t deliver what users need quickly and efficiently. We keep it simple with a great search facility at your fingertips. This is one of our favorite features and one that's unique to our app. Listen in your car, on the bus,or train, or even at a coffee shop. Our sermon cloud player has the best search features over any other you will find online. This will give you a great user experience. We have worked hard to make our Sermon Cloud Player look professional and straight forward. People engage more with great design. We host all your podcast sermons in one simple easy to find application, making it automated for your individual needs. Check out some examples of our church sermon player in action. Everyone is familiar with Amazon and their easy to use platform. We have partnered with Amazon to host all your audio files in one place unique to you. This gives you extremely fast load times and a great backup solution for all your audio needs. Adding to your security and accessibility, Amazon creates a copy of each one of your mp3 files and makes it available to all on their data center and around the world, allowing anyone to listen to your sermons fast and no matter where in the world. Vimeo is a company that has changed the way churches host videos online. Before Vimeo, it was extremely expensive and out of reach for most churches to host video sermons online. Now we have partnered with Vimeo to give you a more customized feel. 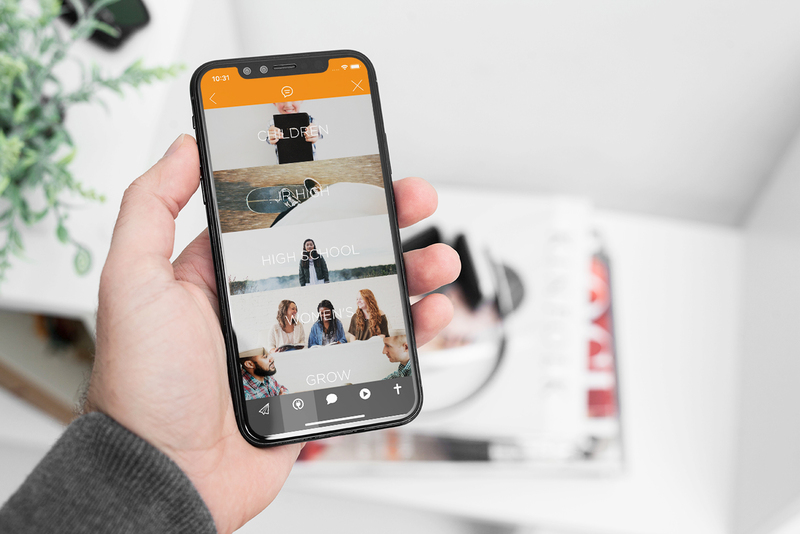 Our partnership allows you to use Vimeo but also our own custom video player giving viewers a professional feel that no other platform can give. Not even YouTube. The great thing is no one knows you’re using Vimeo! Create Playlists for listening later! This is a feature unique to our platform. As you grow your sermon library it's great for users to find and save messages so they can listen and avoid looking through hundreds of messages again. What's great about this feature is that they don't need to create an account making it instantly available to them in your sermon player. We use their local device storage to save the data to their personal device. How cool is that! Remembering where you left off. 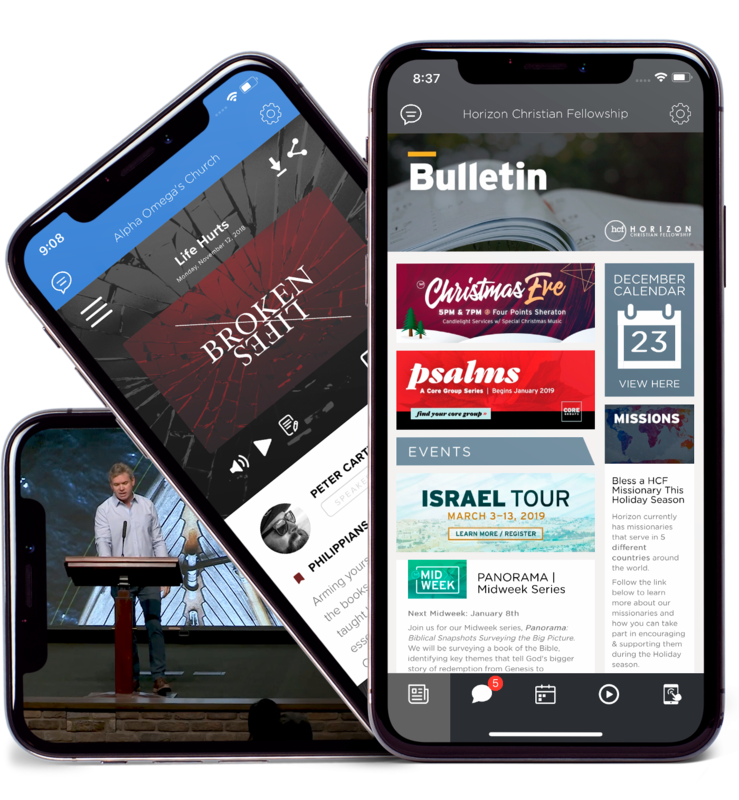 If your sermon player has hundred's or even thousand's of audio sermons, our sermon cloud player will save the place your users left off, so they can quickly jump back to listening right on their way home from work in the car etc. Just one of the amazing features people have grown to love about our Sermon Cloud Player. No need for a Apple TV app anymore. You might be being sold into getting an Apple TV app! Nowadays there is no need with the release of IOS 12 and the new Android Chromecast. 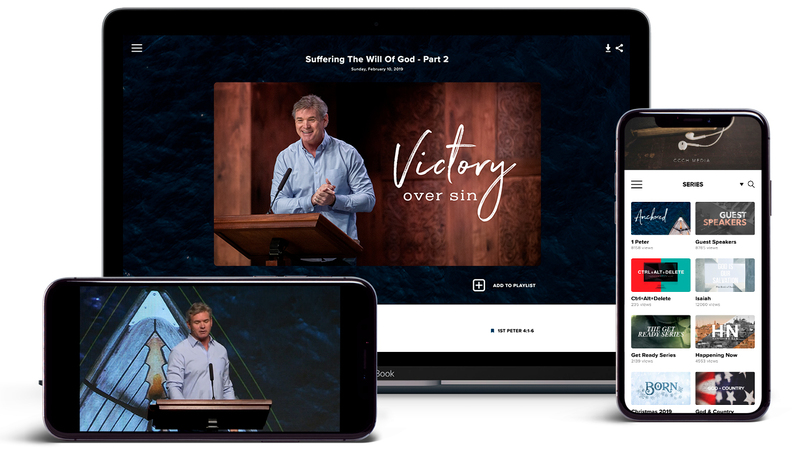 Now any of your church or visitors can easily AirPlay or Chromecast your sermon videos right to their Apple TV or Chromecast from your church app. Plus you can watch on your phone and pick up later on your Apple TV or Chromecast at home. You simply can't do that with an Apple TV app! Our church app platform combined with our sermon player makes for a great experience! Embed your sermon player to your website or ours builder and sermons will auto update!